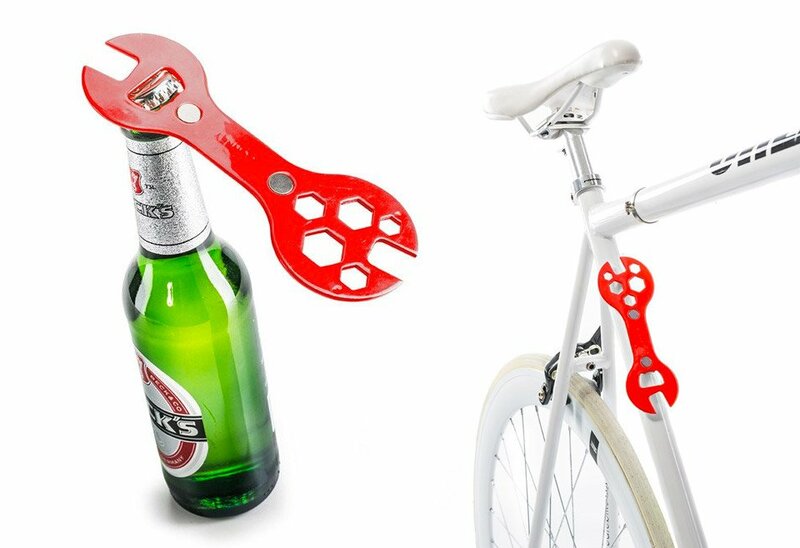 This handy bike tool offers a variety of wrenches, and doubles as a bottle opener so you can pop open a cold one to celebrate the end of a long ride. It holds onto steel frames or other metal surfaces using magnets. Also available in white.